BRIDGETOWN, Barbados, Mar 24 2014 (IPS) - Can Caribbean governments take legal action against other countries that they believe are warming the planet with devastating consequences? A former regional diplomat argues the answer is yes. Ronald Sanders, who is also a senior research fellow at London University, says such legal action would require all Small Island Developing States (SIDS) acting together. He believes the Hague-based International Court of Justice (ICJ) would be amenable to hearing their arguments, although the court’s requirement that all parties to a dispute agree to its jurisdiction would be a major stumbling block. “It is most unlikely that the countries that are warming the planet, which incidentally now include India and China, not just the United States, Canada and the European Union…[that] they would agree to jurisdiction,” Sanders told IPS. Sanders said that the Caribbean Community (CARICOM) countries could “as a group put forward a resolution stating the case that they do believe, and there is evidence to support it, that climate change and global warming is having a material effect… on the integrity of their countries. Sanders pointed to the damaging effects of flooding and landslides in St. Vincent and the Grenadines, St. Lucia, and Dominica as 2013 came to an end. 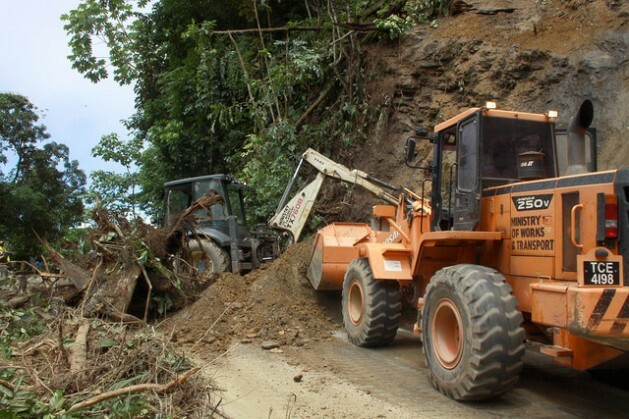 The prime minister of St. Vincent and the Grenadines, Dr. Ralph Gonsalves, described the flooding and landslides as “unprecedented” and gave a preliminary estimate of damage in his country alone to be in excess of 60 million dollars. “People who live in the Caribbean know from their own experience that climate change is real,” Sanders said. At the U.N. climate talks in Warsaw last November, developing countries fought hard for the creation of a third pillar of a new climate treaty to be finalised in 2015. After two weeks and 36 straight hours of negotiations, they finally won the International Mechanism for Loss and Damage (IMLD), to go with the mitigation (emissions reduction) and adaptation pillars. The details of that mechanism will be hammered out at climate talks in Bonn this June, and finally in Paris the following year. As chair of the Alliance of Small Island States (AOSIS), Nauru will be present at a meeting in New Delhi next week of the BASIC group (Brazil, South Africa, India and China) to try and build a common platform for the international talks. “It isn’t just the Caribbean, of course,” Sanders said. “A number of other countries in the world – the Pacific countries – are facing an even more pressing danger than we are at the moment. There are countries in Africa that are facing this problem, and countries in Asia,” he told IPS. “Now if they all join together, there is a moral case to be raised at the United Nations and maybe that is the place at which we would more effectively press it if we acted together. It would require great leadership, great courage and great unity,” he added. Pointing to the OECD countries, Sir Ronald said they act together, consult with each other and come up with a programme which they then say is what the international standard must be and the developing countries must accept it. “Why do the developing countries not understand that we could reverse that process? We can stand up together and say look, this is what we are demanding and the developed countries would then have to listen to what the developing countries are saying,” Sir Ronald said. Following their recent 25th inter-sessional meeting in St. Vincent, Jamaican Prime Minister Portia Simpson Miller praised the increased focus that CARICOM leaders have placed on the issue of climate change, especially in light of the freak storm last year that devastated St. Lucia, Dominica and St. Vincent and the Grenadines. At that meeting, heads of government agreed on the establishment of a task force on climate change and SIDS to provide guidance to Caribbean climate change negotiators, their ministers and political leaders in order to ensure the strategic positioning of the region in the negotiations. 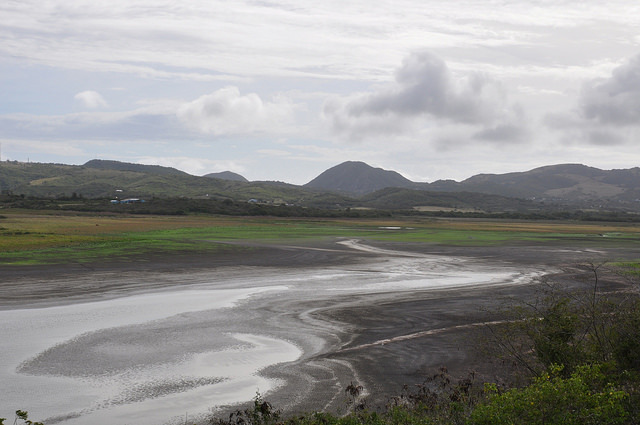 In Antigua, where drought has persisted for months, water catchments are quickly drying up. The water manager at the state-owned Antigua Public utilities Authority (APUA), Ivan Rodrigues, blames climate change. “We know that the climate is changing and what we need to do is to cater for it and deal with it,” he told IPS. But he is not sold on the idea of international legal action against the large industrialised countries. But Sanders firmly believes an opinion from the International Court of Justice would make a huge difference. “We could get an opinion. If the United Nations General Assembly were to accept a resolution that, say, we want an opinion from the International Court of Jurists on this matter, I think we could get an opinion that would be favourable to a case for the Caribbean and other countries that are affected by climate change,” he told IPS. “If there was a case where countries, governments and large companies knew that if they continue these harmful practices, action would be taken against them, of course they would change their position because at the end of the day they want to be profitable and successful. They don’t want to be having to fight court cases and losing them and then having to pay compensation,” he added.